Our Devon sweat shorts are part of our maiden SS 2016 leisurewear collection — designed to be worn for sport, leisure and downtime. Our leisurewear embodies our philosophy of luxurious relaxation — of high quality fabrics combined with modern styling and considered details — to create garments that can be matched with both gym clothes and jeans. 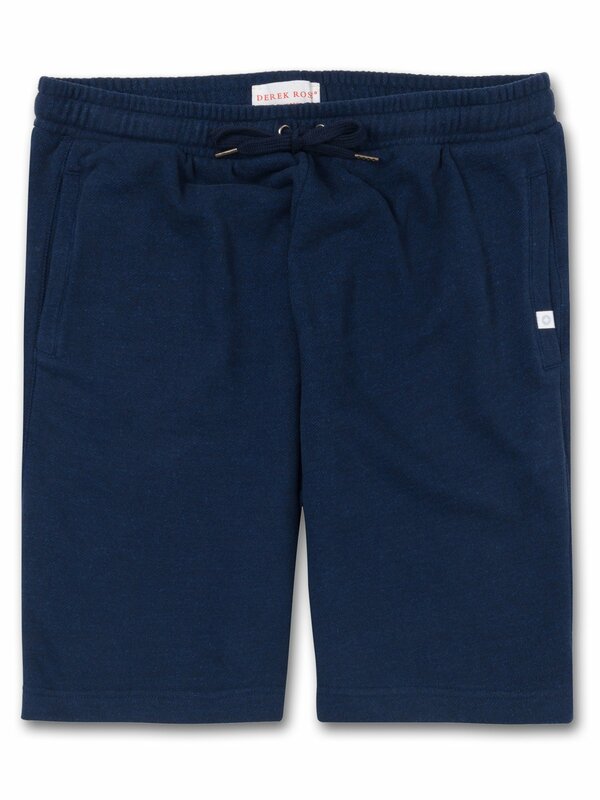 Debuting in navy and silver, our Devon sweat shorts are made with high quality, loopback, carbon brushed cotton for a truly luxurious handle and has small, thoughtful touches such as an extra soft waistband. In our world of gym, exercise and leisure, we're always in need of at least one secure pocket to store our keys, membership card or some money - so both our shorts and trousers feature a secure zip pocket. For the more inner directed among you, we've obsessed about the detail to such a degree that our actual puller is shaped into a contour that matches the curve of your fingertip. Ever conscious of the user experience, we have pre-washed the garment to reduce shrinkage and give a truer fit. Carbon brushing gives the fabric a slightly worn feel and super soft touch - this means the fabric has already been stressed and won't deteriorate as you wear it. As always, our branding is kept subtle - with discreet labels on pocket openings.